In the History of the Windsbuhl, written by J.J. Becker in 1912, the first mention of a grape variety goes back to 1855. The Tockayer (Pinot Gris) is then already famous and wine merchants would travel from far to get some. It isn’t a surprise if today this grape variety still represents the largest percentage. The Windsbuhl has the possibility to ripen Pinot Gris very well, without losing precious acidity. Harvests are earlier and earlier, but the vines benefit in the Windsbuhl from a higher altitude and slower ripening period. When summer is sunny, this grape can be really dark in colour, however, Windsbuhl grapes are easy to recognize because they will always be the lightest in colour, more bronze than dark. The 2015 vintage was harvested very healthy and produced an off dry style wine. 8/2017: light yellow colour. From the beginning, through fermentation, and even now in bottle, this was always the most reductive wine in 2015. 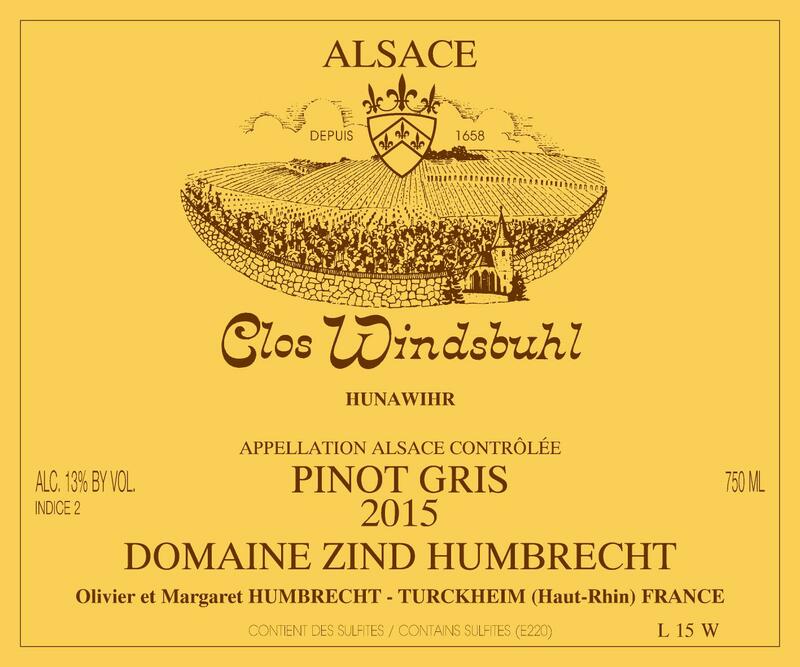 Windsbuhl Pinot Gris has a natural aromatic austerity in its youth, enhanced by long total lees contact and complete absence of noble rot. It takes a long time to develop and aeration is necessary to get the toasty, nutty, wet soil character. The palate shows textbook limestone influence. The citrus, lime, tight attack is slowly and gradually softened by a light residual sweetness. Caressing the palate like velvet, there is an aerial fell on the finish. Tannins, acidity, medium alcohol and light sweetness all combine to produce a very elegant wine. It is probably the wine that will need the most time to develop and show its real potential in 2015.